Natural astaxanthin is considerably more potent than synthetic one owing to its various health benefits. To date, the market is characterised by soaring demand and insufficient supply. During 2010-2014, production increased 1.5 times, and it is set to nearly double by 2015-end (from 2010 level). Over the forecast period, the worldwide natural astaxanthin market is poised for rapid expansion due to an increase in the numerous benefits of this carotenoid as well as the rising public awareness of them. Existing manufacturers of natural astaxanthin are expanding capacity to comply with the soaring product demand. Meantime, start-up companies often do not withstand competition owing to quite high barriers of market entry. The report provides true insights into the natural astaxanthin industry, considering current and historical and also future trends of global and regional markets. The study presents an overview of the product, its applications, health benefits, as well as comparisons of this carotenoid with synthetic astaxanthin. It provides unbiased data on manufacturing of natural astaxanthin; examines key drivers and challengers of the global astaxanthine market; sheds light on natural astaxanthin supply globally, covering plants and their capacity and production worldwide and by region during 2010-2014; examines the dynamics of demand for natural astaxanthin over the historical period, globally and region-wise, and reviews the product demand structure; includes an analysis of prices for natural astaxanthin. Detailed profiles of major manufacturers are included, too. Furthermore, the study offers projections about the future development of the market, covering supply and demand forecasts, projects, etc. Detailed analysis of the manufacturing process. Analysis of the key market drivers and challenges. In-depth evaluation of the product demand and supply. Comprehensive examination of the competitive landscape and market majors. Review of product prices across various regions. Global natural astaxanthin market outlook including projections on the growth potential, demand and supply, etc. 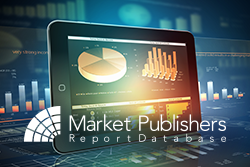 More new market research studies by the publisher can be found at BAC Reports page.